This is one of the oldest temples of Kerala. It is situated amidst the dense forests and one requires special permission from the Forest Department to see it. The temple opens only an year during April-May and it is generally closed during the rest of the period. During this time, there is a huge rush of devotees and pilgrims here to get married as it is believed that if a marriage is solemnised here, the couple will lead a long, happy and contended life. The temple in recent years has become the bone of contention between two states and priests from both the states conduct the poojas and seves when it is open for the public once an year. This is the beautiful temple of Mangala Devi which is located about 15 kms from Thekady in Idukki district in Kerala. The temple is situated at the top of the Mangala Devi peak at an altitude of 1337 metres above sea level. It faces the Kambam Valley of Tamil Nadu. As the name itself suggests, it is dedicated to Mangala Devi. Believed to more than 2,000 years old, this must be one of the most enchanting temples in India. The rolling forests, beautiful scenery and varied wildlife all make a trip to the temple an unforgettable experience. The temple is constructed in the Kerala style of architecture and the devotees have to traverse through thick forests to reach it. The peak gives you a spectacular view of some of the villages of Tamil Nadu which can be seen below. The temple only opens during the annual festival season in April-May. Visitors are required to take special permission from the Wildlife Warden, Thekady, to visit the temple. Hundreds of pilgrims, mainly from Kerala and Tamil Nadu, visit the temple on Chaitra Pournami. Mangala Devi here is believed to have evolved from the epic Tamil character of Kannagi. Here, she is worshipped as a form of Shakthi. The priests say that worship brings riches and delight. Moreover, those who conduct their marriage here will lead a happy and contended life. 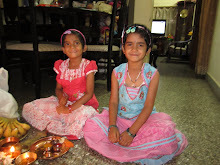 Women perform Mangala Parvathi Vratha here for a happy married life. When the temple opens, the Forest Departments of both Kerala and Tamil Nadu join hands to arrange elaborate and fool-proof arrangements. Priests from both the states conducted separate pujas at the temple, which remains open till 5 p.m,. The temple is located along the forests bordering Tamil Nadu and the Chaitra Pournima is organised jointly as both the States have made claims over it. The forest path to the temple has to be cleared every year to facilitate pilgrims from Tamil Nadu who reach the temple on foot. Pilgrims from Kerala reach the temple in jeeps through the Kumily-Mangala Devi route. It is close to Gudalur (Tamilnadu) and Kumuli (Kerala). The temple can still be seen on other days but you require a letter from the Forest Department. The Temple complex consists of four shrines of varying heights. The temple dates back to the 9th century AD when king Kundavarma of Ahepa dynasty was ruling Tulu Nadu.